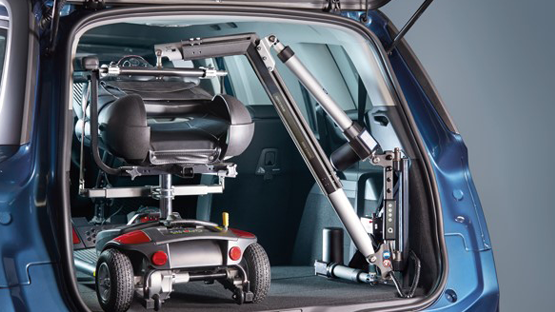 Thanks to its advanced engineering and superb design, the Smart Lifter is ideal for lifting mini scooters or wheelchairs effortlessly into the back of a car. It has the added ability of the hoist arm folding, allowing it to fit into smaller boots whilst keeping the 4 way function of the other hoists. Designed to lift scooters and wheelchairs, available in a 80kg and 100kg option. 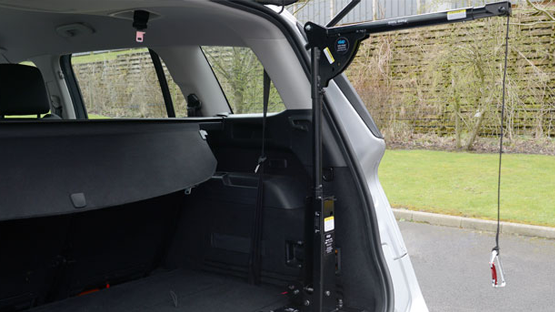 Suitable for a wide range of vehicles and has a easily detachable arm when not in use to save space. 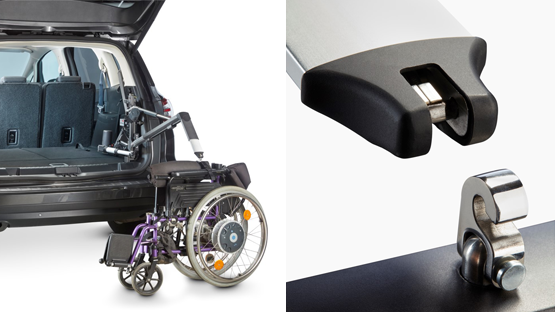 These hoists also benefit from an easy to use clip system, allowing the hoists to be used for scooters and wheelchairs by simply changing the bar/lifting kit. 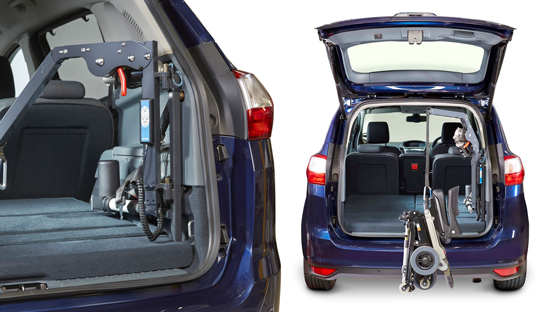 The Smart Lifter Hoist is designed for the larger Scooter or Power Chair. Suitable for larger vehicles and with the same ability to detach the arm when needed. For smaller vehicles and mobility products, the V40 is the answer. A simple 2 way cost effective hoist, that folds down flat after use. 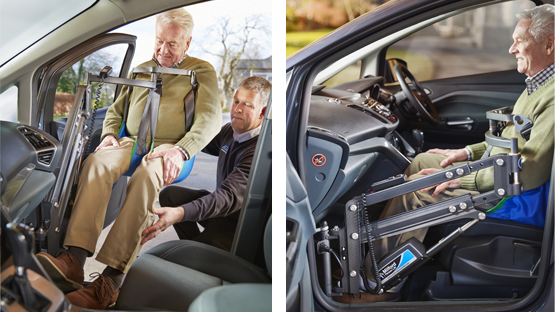 Designed to smoothly transfer users from a wheelchair directly into a car seat. Removing the need for lifting as the Smart Transfer is electronic up and down. Then is manually guided in and out of the vehicle. The sling is strong and versatile and can also be used with the Smartbase for use in the home, office or on holiday. ACS Mobility Ltd is the perfect place for your hoists and persons lifts.